Suggested slogan: "We have less than Nada"
"Vox Populi was concentrated at the intersection of what is now County Road 16 and Highway 71 in Colorado County. Its northernmost concentration of structures began 3.4 miles south of the Highway 90 intersection on Highway 71. 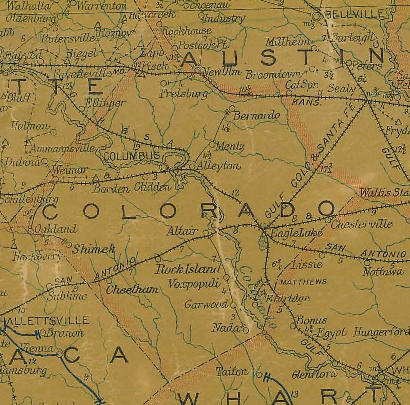 The 1956 Colorado County road map shows this but doesn't name the town. "When the Handbook of Texas says a town "was probably" on a particular farm to market road, you can't expect much. With Vox Populi, no one seems to know the exact location. There was once a town designation sign on Highway 71. If it's still there, it can be easily missed. 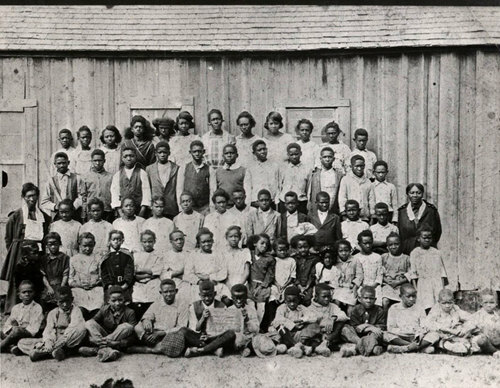 The community was established in the 1870s as a sort of "convenience" market for the former slaves of local plantations who couldn't make the then-arduous journey to larger towns. A post office was granted in 1880 with the lofty (but somewhat mysterious) Latin name Vox Populi - or "'voice of the people." 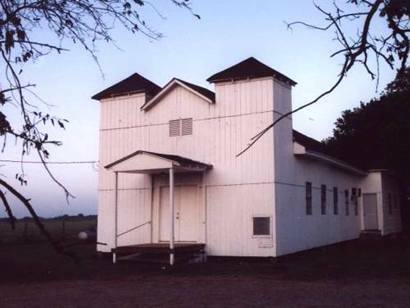 The post office was located close by the South Point Baptist Church." - John J. Germann. Although there were only 30 residents in 1884, by 1890 the community had grown to a respectable population of 200. But it had yet to peak. Vox Populi had doubled to a population of 400 by 1896. The school for Black students had three teachers for 121 pupils. 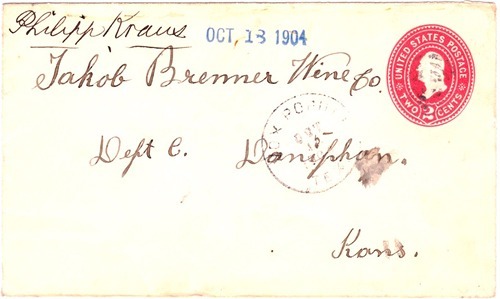 The post office was closed in the 1930s and the population drifted away. Depopulation was swift. By 1940 the town had been dropped from state maps.